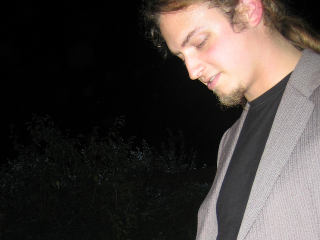 andré klapper's blog. | i'm not dead yet, but i'm working on it. Reaching this milestone required finding, contacting and discussing over the last months with project maintainers of mostly less active projects which had used GNOME Bugzilla for their issue tracking. For convenience, there are redirects in place (for those websites out there which still directly link to Bugzilla’s ticket creation page) to guide them to the new issue tracking venues. Note that closing only refers to creating new tickets: There are still 189 products with 21019 open tickets in GNOME Bugzilla. IMO these tickets should either get migrated to Gitlab or mass-closed on a per-product basis, depending on maintainers’ preferences. The long-term goal should be making GNOME Bugzilla completely read-only. 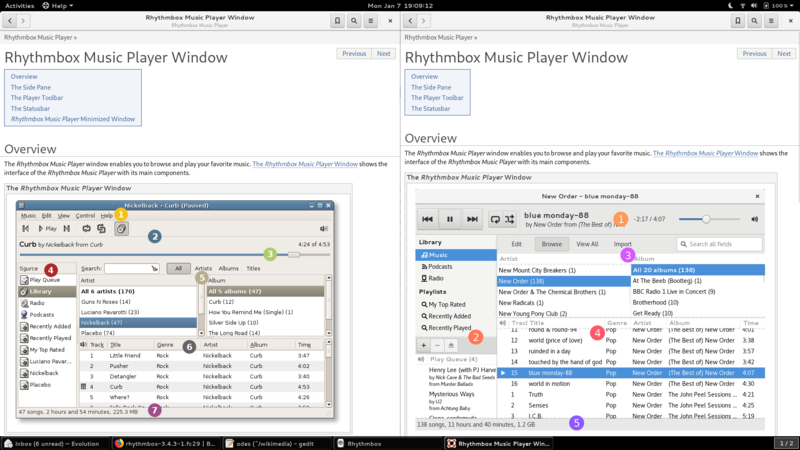 I also fixed the custom “Browse” product pages in GNOME Bugzilla to get displayed (the previous code expected products to be open for new bug entry). Should make it easier again for maintainers to potentially triage and clean up their old open tickets in Bugzilla. Thanks to Carlos and Andrea and everyone involved for all their help! 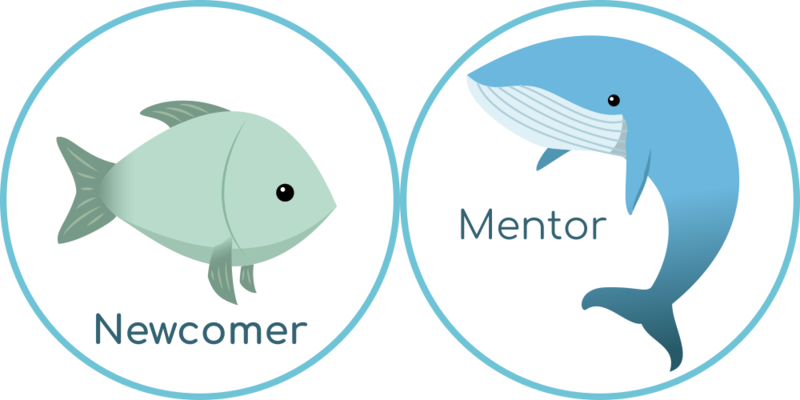 Newcomer and Mentor stickers designed by GCI 2017 participant Ashley Zhang, CC BY-SA 4.0. Google Code-in (GCI) is an annual seven week long contest for 14–17-year-old students exploring free and open source software projects. Organizations, such as the Wikimedia community, offer small tasks in the areas of code, documentation, outreach, research, and design. Students who complete tasks receive a digital certificate and a shirt from Google. The top students in every participating organization win a visit of Google’s headquarters. Students can directly experience how large online projects are organized, collaborate with humans across the planet, and the students’ accepted work is made available to millions of worldwide users. For the sixth time, Wikimedia was one of 27 participating organizations which offered tasks mentored by community members. Musical partitions transcribed for various Wikipedia articles. Some students have also written about their experience. Google also posted a summary with statistics. We would like to congratulate our winners Nathan and Shreyas Minocha, our finalists arcaynia, Jan Rosa, takidelfin and Zoran Dori, and all contributors on their many contributions! We hope to see you around! We would also like to thank all our mentors for their commitment to be available also on weekends and holidays, for coming up with task ideas, working together, quickly reviewing contributions, and for providing feedback what we could improve next time. Thanks to everybody on IRC, Gerrit, Phabricator, mailing lists, Github, Telegram for their friendliness, patience, support and help. Google Code-in will take place again soon (from October 23 to December 13). GCI is an annual contest for 13-17 year old students to start contributing to free and open projects. It is not only about coding: We also need tasks about design, documentation, outreach/research, and quality assurance. And you can mentor them! Last year, 300 students worked on 760 Wikimedia tasks, supported by 51 mentors from our community. Your gadget code uses some deprecated API calls? You’d enjoy helping someone port your template to Lua? You’d welcome some translation help (which cannot be performed by machines)? Your documentation needs specific improvements? Your user interface has some smaller design issues? Your Outreachy/Summer of Code project welcomes small tweaks? You have tasks in mind that welcome some research? Note that “beginner tasks” (e.g. “Set up Vagrant”) and generic tasks are very welcome (like “Choose and fix 2 PHP7 issues from the list in this task” style). If you have tasks in mind which would take an experienced contributor 2-3 hours, become a mentor and add your name to our list! Thank you in advance, as we cannot run this without your help. GUADEC in Almería was a great opportunity to catch up with some technologies in the GNOME world, hang out with lovely folks again, and spend time at the beach. Wrote stock answers / canned replies for GNOME Gitlab (to be used in your local browser as a user script) as stock answers are not supported yet by default in Gitlab. Realized that I can still directly push into Git repositories hosted in GNOME Gitlab. Also created my first proper merge request after forking in Gitlab. Workflows. I finally removed GNOME Evolution’s ancient Quick Reference PDF, after Raniere Silva had moved the list of keyboard shortcuts into the Evolution user help (thanks for your patch!). Also fixed a good bunch of Evolution user documentation issues. One last time: Presented Bugzilla activity statistics at the AGM. Closed about 2500 open tickets of unmaintained products in GNOME Bugzilla. Had a GNOME Release Team meeting. 265 products in GNOME Bugzilla have zero open tickets, do not accept filing new tickets in Bugzilla anymore, and do not exist in Gitlab either. Ancient stuff. Nothing to do. 103 products in GNOME Bugzilla have zero open tickets and do not accept filing new tickets in Bugzilla anymore as you get redirected to Gitlab. Either already fully migrated or small projects. Nothing to do. Doxygen has 1908 open tickets in Bugzilla, does not accept new tickets in Bugzilla, and does not exist in Gitlab. 17 products in GNOME Bugzilla have zero open tickets and do accept filing new tickets in Bugzilla. That’s projects to still set up in Gitlab, I’d say. 197 products in GNOME Bugzilla have 23426 open tickets in total and do not accept filing new tickets in Bugzilla anymore as you get redirected to Gitlab. That’s tickets to either mass-migrate from or close with an explanation in Bugzilla, I’d say. 51 products in GNOME Bugzilla have 5791 open tickets in total and still accept filing new tickets in Bugzilla. That’s products and tickets to set up in Gitlab and either mass-migrate from or close with an explanation in Bugzilla, I’d say. …and following stuff that interests you in an issue tracking system. I work as a bugmaster in a large project. That means I interact with many people on many topics and try to have a quite hollistic view of what’s going on which requires processing vast amounts of information. Apart from good memory and basic technical understanding (“Wait, this report reminds me of another one which might be related”) I need to follow up and keep track of stuff. Subscribe to a single task to receive notifications about it. Become a member of a project and/or watch the project to receive notifications about tasks associated with that project. Use flags (similar to bookmarks or a watchlist) to keep a list of tasks (to occasionally re-check?) but not necessarily to receive updates about them. Split notifications into email (more important?) vs. web (less important?) notifications (the bell icon in Phabricator’s top bar) via your personal email preferences. Advanced: Set up a custom dashboard with your favorite panels (e.g. search query results) as your personal Phabricator frontpage. I’m also aware of people going through Phabricator’s activity feed in the morning to check for stuff that interests them. (For those using Bugzilla: There is no built-in functionality to watch products or components. You can only watch the activity of other persons or install the separate ComponentWatching extension. For completeness: Currently Phabricator does not offer a difference between “I subscribed to this task or got subscribed as I watch the associated project” versus “I got explicitly mentioned in a comment in this task” which can sometimes be unfortunate. My workflow is email based. Currently I actually take a look at about 400 to 700 bugmail notifications on a normal workday (I receive way more). Those are the emails that end up as “unread” in a subfolder of my email application (GNOME Evolution). I apply filters locally, based on projects and/or senders (e.g. bots) of notifications. Phabricator includes a custom “X-Phabricator-Projects” header in every mail notification. As far as i know GMail does not support filtering on custom headers and last time I checked, GMail had a rather “creative” IMAP implementation which did not allow to perform such filtering server-side. In Bugzilla, managing filter rules was easier as a task has exactly one product and component; further associations are expressed via keywords or whiteboard entries for those who fancy additional UI elements. As Phabricator tasks can have between zero and unlimited projects associated, the order of my local filters (and their criteria) is important. For some projects and some senders, these filters set the email to “read” status (as in “has been read”) so I might never see these emails. My default view is to display only unread messages, to order by message threads, and to display new messages on top. When going through new (unread) messages I mark most messages as read (keyboard shortcuts are your friend). I keep some messages in “unread” message status whenever I plan to re-check or follow up at some point. I occasionally go through them and nag people. For urgent tasks which need rechecking rather sooner than later, I mostly end up keeping open tabs in my web browser (if those tasks are not prioritized with the highest (“Unbreak Now!”) priority already anyway). Obviously, such an email based workflow makes it hard to pass work to someone else for a limited time (the so-called “vacation” concept). Some mail services allow proxying though. And the social part: As Wikimedia Phabricator is used by more and more teams (not only by engineering but also by chapters, to plan sessions at conferences, etc. ), I clarified which service level to expect from me. 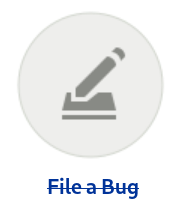 So the page that describes my job says: As the bugwrangler cannot support every single project and task in Phabricator to the same extent, maintainers and teams are more than welcome to contact the bugwrangler to express support requests for managing their tasks. Do you have better workflows or tips to share? That annual list of awkward incomplete pop music preferences: Stuff I listened to a lot in the last 12 months (and which did not necessarily get released in 2016). Supersilent left me without words. In Electronica, Digitalism were beautifully vibrant and energetic (cannot say if it was a DJ set or a concert – somewhere in between). 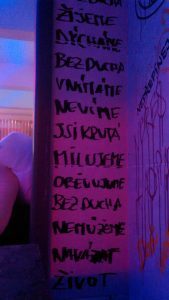 Also enjoyed numerous challenging Neoru DJ sets (one flyer really called that “post-genre”), Poliça, Zola Jesus, and Bulp. In the guitar section, blessed to see Ignite again after all those years (still the band I’ve seen the most) and (classic) Motorpsycho. In Hiphop, it was a pleasure to see and talk to Little Simz and Angel Haze (see last year). Die Antwoord were entertaining as expected. In Electronica, Simple Forms by The Naked and Famous is probably my favorite. School Of Seven Bells had a post-mortem release, and (thanks to Silvana Imam) I got aware of Beatrice Eli. In Hiphop and those things: Tommy Genesis (who I unfortunately missed live), Mala Rodríguez, Elliphant, Jamila Woods.